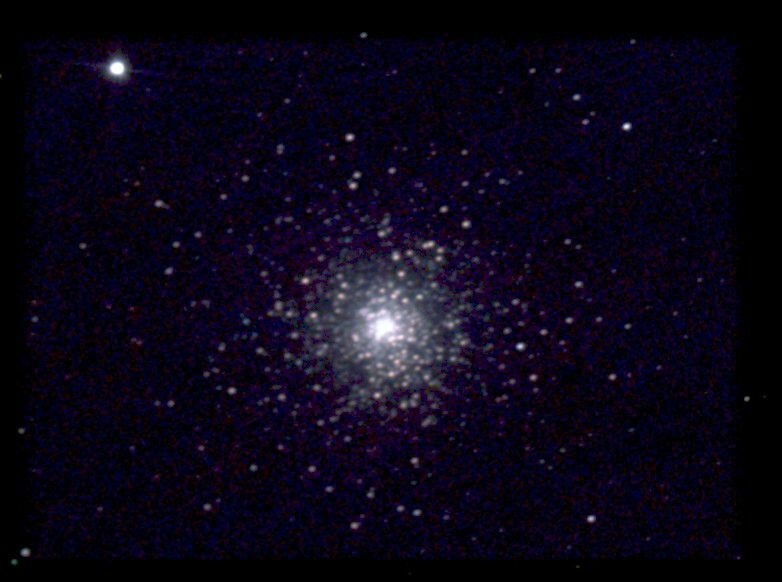 M15 is a fine globular cluster in the constellation of Pegasus 34,000 light-years away. In a dark sky, it can be seen with the naked eye as a small blurred spot. M15 has an extremely dense nucleus; this density might be caused by a very massive object (a black hole?) which might hold many stars in a relatively small volume. With a 10 min. exposure using a CCD camera and a 150 mm telescope, "Chamois" (the person's pseudonym on the forum) captured this cluster.